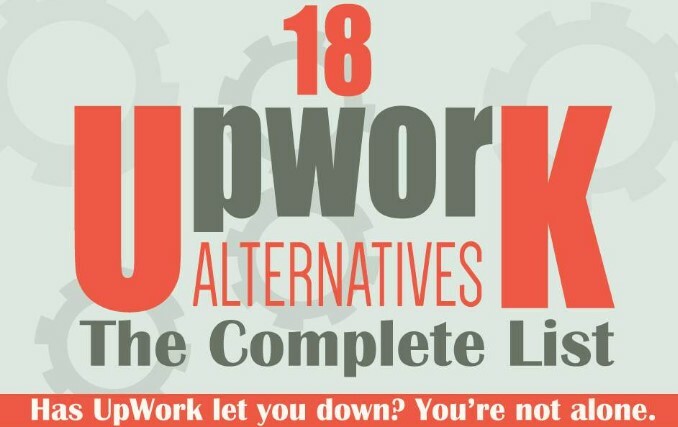 Hopefully, you already read my article about Upwork. If not, I invite you to do so before we continue. I will NOT include such a dishonest company in a list of opportunities for people that are looking for freelance work. Getting back to the topic at hand, remember that the best freelance work you will find will not come through these platforms. You want to use them in order to get your freelancing business started. Eventually, you will want to have clients find you and direct pitching is what you want to do. Having good profiles on LinkedIn and similar sites will help out a lot more than you think. Also, I warmly recommend building a portfolio and posting it in a suitable environment based on the niche you operate in. For instance, as a designer, a profile on Behance can be pretty useful. 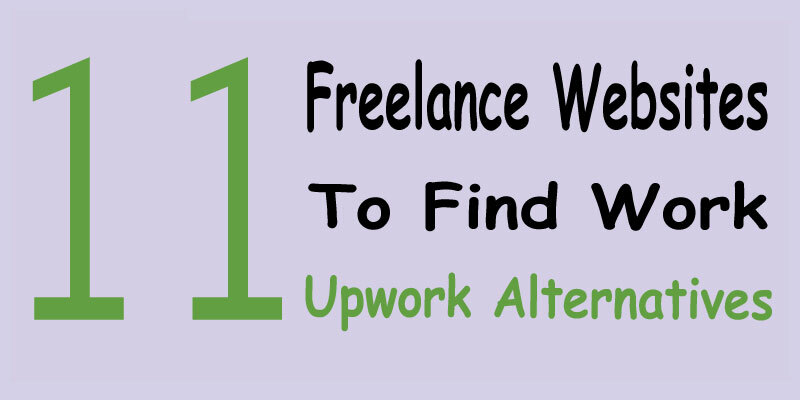 I will highlight some great places to find freelance work BUT remember that your research can help you find hundreds of other options. Use Google and look for the type of job that you need. There is no single article on the internet that can cover all the opportunities for freelancers. Put in the hours to look for opportunities since you will find many. Toptal is aimed at freelancers that are the best in design and software development. You will have to go through a pretty tough screening process. If you pass and you are accepted, you will gain access to TOP projects with really great clients. There are no low bids here and compensation is always high. Freelancer is the one company that benefits the most from the lack of professionalism that Upwork shows. In the past 24 hours the number of freelancers that moved from Upwork to Freelancer is huge and the same thing goes for clients, some going on their own will while others following the freelancers to freelancer.com. Besides the regular projects posted, you can also participate in contests with other freelancers. The winners get a really good price so if you are confident and good at what you do, you want to seriously consider this opportunity. Now Guru has around 1.5 million members. The platform will allow you to easily showcase your experience and you will see some pretty good projects listed right now. Out of all the different freelance job sites, if I were to choose one to work on, this would be it, although Freelancer is also a close second. IFreelance is a pretty interesting site that does give access to jobs for different fields like writing, coding and so on. However, what is really interesting is that you actually get to keep all the earnings. This means no fees. While the site is small, you might land a job here. Most of the jobs available now are in IT & Programming and Graphic design but there are also opportunities for writers and other specializations. The only problem is that some of the budgets available seem small to me. However, if the rates are acceptable, give them a try! The platform is great, with a focus put on 4 categories: design, development, content and promotion. At the moment there are around 6,500 projects posted. Some prices are great while others are not. Still, another opportunity for you. This is not actually a job board. What this site does is showcase different projects for writers from all around the world. Every single day you will have a list of the opportunities that are available for those that have ways with words. I am quite sure that you already know Fiverr but did you actually try it? Many beginner freelancers can use this platform to gain experience and to add new pages to their portfolios. Some people actually manage to make good money on Fiverr so do not dismiss this opportunity. Are you a designer and are you up for a challenge? 99 Designs is basically a platform in which a client comes, presents a brief and a contest is launched. Designs added to the contest are offered feedback by the client and rated. The best ones are chosen and paid really good amoounts. FlexJobs is looking for jobs for you. It highlights different opportunities, based on your skills. All jobs vetted are 100% legitimate and the freelancer can apply directly through the contact data that is offered by the website. Skill testing is available and for a small monthly or yearly fee, you get to get rid of a lot of research since the site finds options for you. All bloggers know Problogger but few know about the job boards there. If you are a professional blogger or even an enthusiast, you can take a look. I saw many jobs here that paid up to around $200 per 2000 words. Obviously, many are cheaper but the opportunity is there. Once again, there are many other options available. If you feel that there is one that absolutely has to be on this list and I missed, let me know with a comment. Also, by the time you reach this list, some of the sites might not work anymore. Please let me know through a comment so I can remove them. As a bonus, if you are a freelance writer, make sure that you check out THIS LIST with 92 websites that pay freelancers over $50 for an article. Garrett R. Morris got in touch on Twitter and said that he already found a new job on ZipTask after the Upwork fiasco. ZipTask has a 0% fee for the freelancer and 8% fee for the customer. The idea behind the site is quite great as you get to actually have recorded video conversations between the two parties if you want to, which can be great. Most of the jobs are for developers but there are also some for content writers, researchers, social media managers and more. My friend, I cannot actually add this to the article as you talk about something that is still not developed. However, I will leave the link so maybe some may see it, maybe some have interest in this. However, I would appreciate future comments to be based on your name and not the use of something that seems spam. If you ever manage to get this going and you launch a site that does manage to be great, email me and I will cover it.